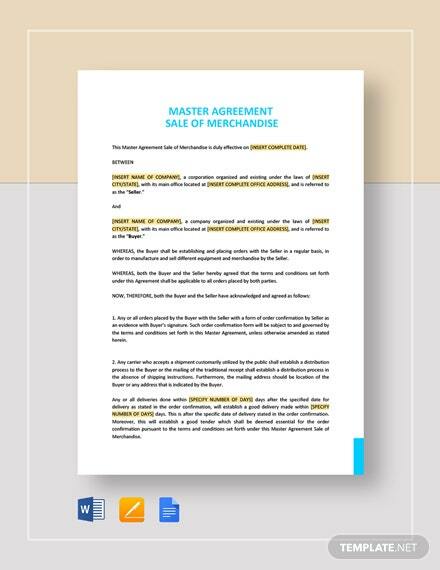 A confirmation of purchase is essential to avoid misunderstandings between the buyer and the seller. 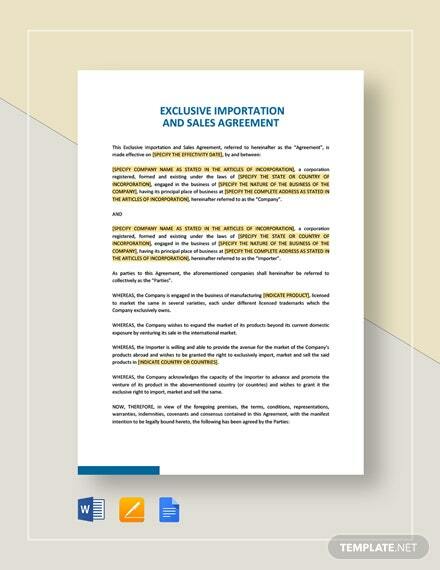 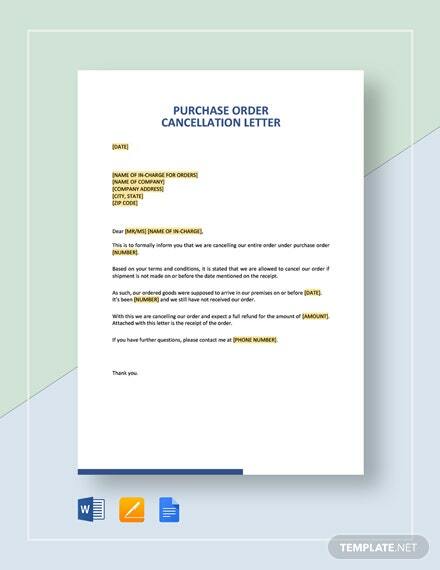 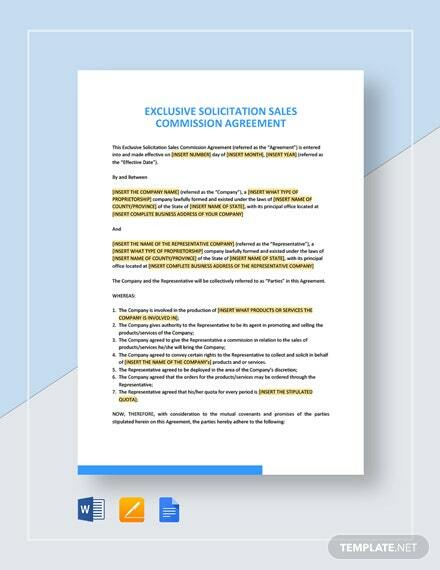 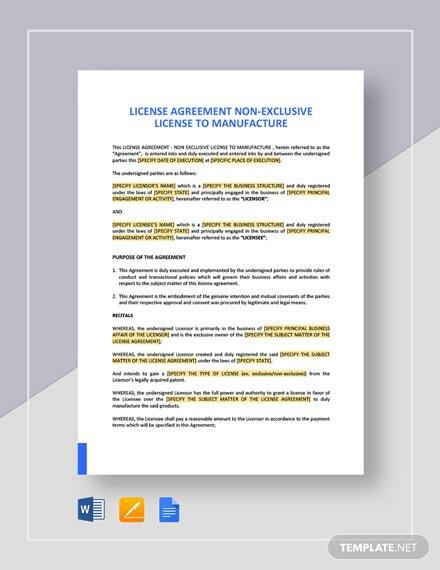 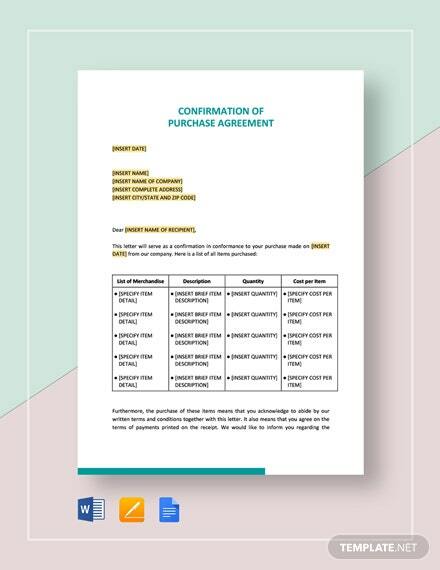 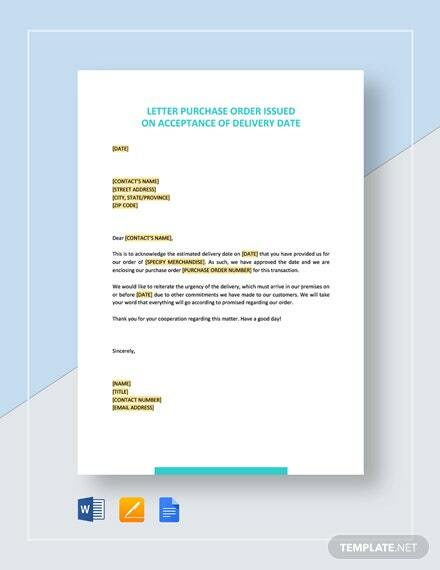 Prepare a well-laid-out agreement for your terms and conditions with this Confirmation of Purchase Agreement template. 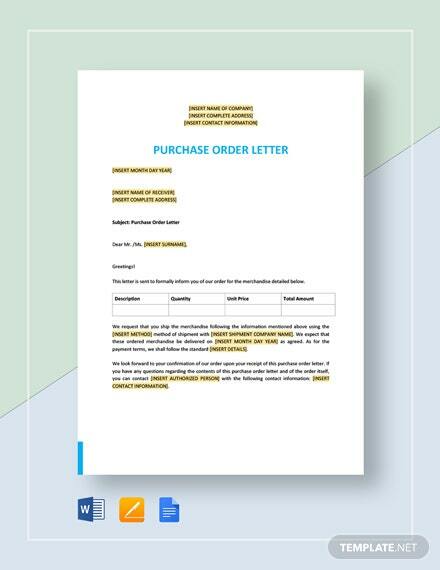 Make your +More business more professional by using this premium and well-written template. 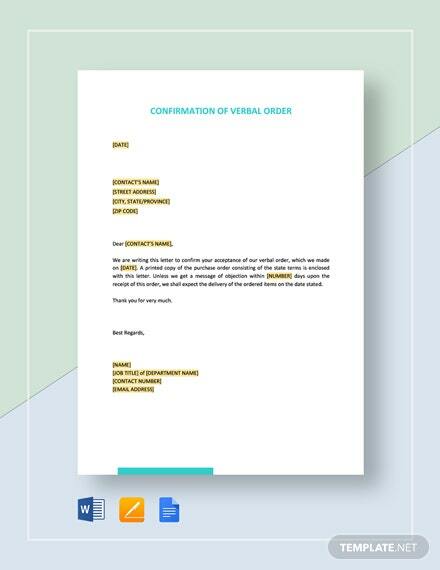 All you have to do is replace all the highlighted words or fill in the blanks with your own details. 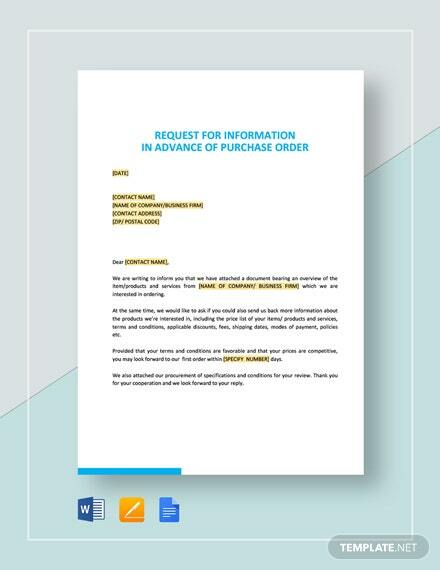 Another advantage of this template is that it be downloaded onto various devices from desktops computers to laptops to tablets and even phones as well as edit them in various file formats. 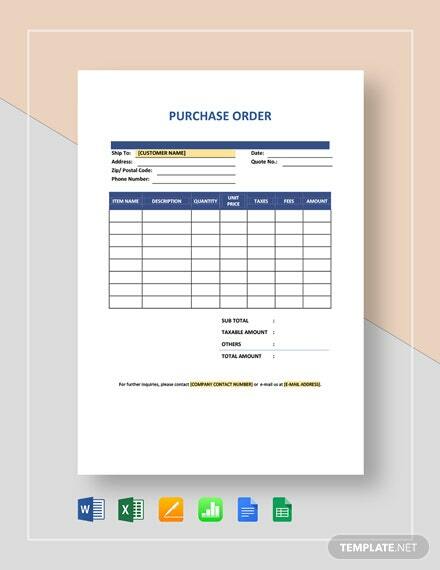 Avail this amazing template now!